Peruvian-style grilled chicken—spice- and vinegar-rubbed, then slow-grilled—is great on its own, but add some of that addictively creamy jalapeño sauce, and you've got a meal that's hard to top. This recipe starts with those classic components, simplifies them for quicker cooking, and puts them between two pieces of bread. Meet the Peruvian grilled-chicken sandwich—you're gonna want to get to know it well. 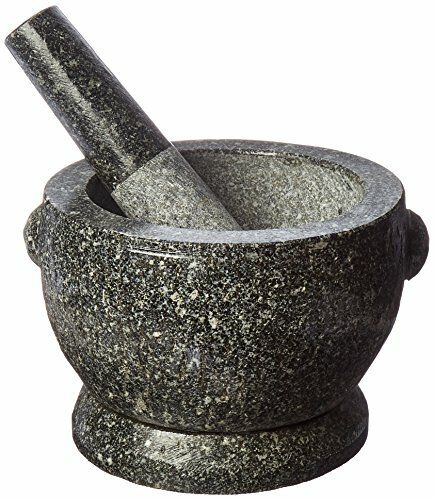 A mortar and pestle creates the most flavorful and aromatic marinade, though you can speed things up with a blender (see note). Grilling the chicken mostly on one side guarantees good browning without overcooking. For the Chicken: In a large mortar and pestle, pound garlic and salt until a smooth, sticky paste forms. Add cumin, paprika, black pepper, and vinegar and grind them together to form a paste. Drizzle in vegetable oil while grinding (see note). Transfer chicken and marinade to a large bowl and massage with your hands until all the chicken is coated in the marinade. Set aside at room temperature while you make the sauce, or cover and place in the fridge up to overnight. For the Sauce: Combine jalapeños, ají amarillo (if using), cilantro, garlic, mayonnaise, sour cream, lime juice, and vinegar in the jar of a blender. Blend on high speed, scraping down as necessary, until smooth. With blender running, slowly drizzle in olive oil. Season to taste with salt and pepper. Sauce will be quite loose at this point, but will thicken as it sits. Transfer to a sealed container and refrigerate until ready to use. To Cook: Light 1 chimney full of charcoal. When all the charcoal is lit and covered with gray ash, pour out and arrange the coals on one side of the charcoal grate. Set cooking grate in place, cover grill, and allow to preheat for 5 minutes. Alternatively, set half the burners on a gas grill to the highest heat setting, cover, and preheat for 10 minutes. Clean and oil the grilling grate. Place chicken directly over the hot side of the grill, cover, and cook, rotating the pieces occasionally (but not flipping them), until the chicken is almost completely cooked through and only a few pink spots remain on the top side, about 4 minutes. Flip chicken and cook on second side until just done, about 30 seconds. Transfer to a large plate. To Assemble: Place buns cut side down over the hot side of the grill and cook, moving and rotating them occasionally, until well toasted and starting to char, about 1 minute. Transfer to a large cutting board. Use a fork to mash half an avocado on each bottom bun. Sprinkle with a little salt. Top with red onions, lettuce, and 2 pieces of chicken each. Spread top buns with sauce and close sandwiches. Serve immediately, with any extra green sauce on the side. The marinade can also be made by combining all ingredients in a blender, mini chopper, or food processor and blending until smooth, though the flavor won't be as good as the one made with the mortar and pestle. For a less spicy sauce, remove the ribs and seeds of the jalapeños before puréeing. Ají amarillo is a Peruvian yellow pepper paste that can be found in most Latin markets. It can be omitted.